Queen Mary's Charter of 1553 separated Lichfield from Staffordshire, making it a separate county with the right to appoint its own Sheriff. The first Sheriff of Lichfield was Gregorie Stonynge who was also the first Senior Bailiff (Mayor) appointed under the Charter of Edward VI. The Sheriff was responsible for keeping the prison, gallows, neck collars, chain and shackles. In 1611 the Sheriff was present at the trial and subsequent burning at the stake of Edward Wightman, the last person to be burnt alive for heresy in England. The Sheriff continued to supervise the system of ‘Frank Pledge’ (swearing to keep the peace by a family or group of inhabitants) until this became obsolete in the 14th century, but is retained in a ceremonial form to this day. 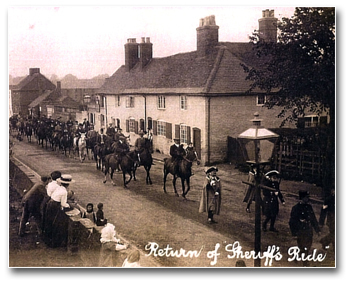 The role of the Sheriff had become largely ceremonial by the late nineteenth century, and the 1972 Local Government Act formally abolished Counties Corporate. The fifteen Cities and towns which now retain a shrievalty, of which Lichfield City is one, therefore uphold a tradition with its origins many centuries ago. 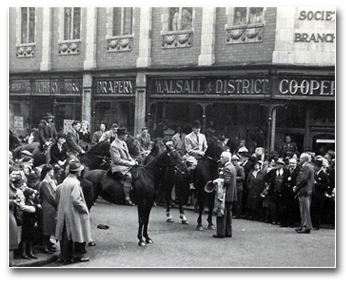 The City of Lichfield also maintains the ‘Court of St George’, which is held on St Georges Day. This is the Court Leet and the View of Frank Pledge, when the Mayor and the City Council become Lords of the Manor. 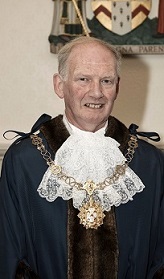 The Sheriff attends in support of the Mayor and the Barony of Lichfield. There is a presentation of reports at each of the City Wards and from the Pinner and Ale Tasters, all conducted in a light-hearted manner. 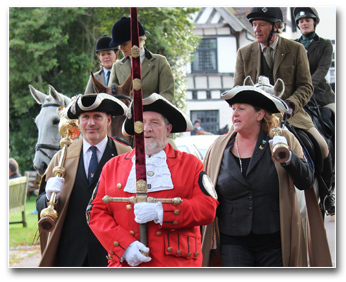 The Sheriff also attends the ‘Court of Arraye’ or ‘View of Men at Arms’ which takes place at the Spring Bank Holiday. This Court is only ceremonial, but has taken place in an unbroken line for over 1000 years. The major event in the Sheriff’s calendar is the Sheriffs Ride, which is also open to the public. Queen Mary’s charter commanded the Sheriff of Lichfield to "perambulate the new County and City annually on the feast of the Nativity of the Blessed Virgin Mary". 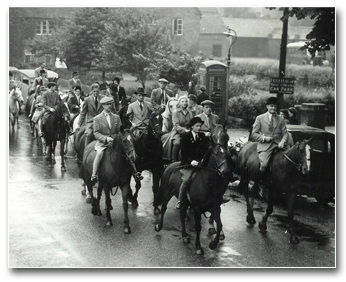 Today, holding true to custom, the Sheriff commences the Ride at Guildhall at 10:30am, and followed by a retinue of about 50 riders, commences a route of around 20 miles, covering the boundary of the City. The northern and eastern boundaries are covered in the morning, arriving in the grounds of Freeford Manor for lunch The High Sheriff and other Civic Heads are invited. The Ride then resumes, completing the circuit of the boundary and stopping for tea at Pipe Hall. Returning into the City, the Sheriff and riders are met by the Sword and Mace Bearers at approximately 6.15 pm to be escorted down Beacon Street to the Close where they are greeted by the Dean, before returning to the Guildhall at about 6.30 pm. The Sheriff's Ride takes place on the Saturday closest to 8 September. If you would like to take part in the Ride, please complete and return the registration form, together with a non-refundable registration fee of £30 no later than 5pm on 31 August 2018.